detached house, 4 - 6 people, 3 room/s, 2 bedroom/s, 1 bathroom/s, approx. 70 m², 1 floor/s, year of construction 2016. Equipment: satellite TV; CD player; washing machine; electric heating. Furnishing: good, friendly, bright, wooden floor, laminate floor. Kitchenette: Kitchen/ cooking equipment: 4 electric plates, oven, microwave oven, refrigerator, coffee machine, water boiler, toaster, freezer approx. 100 litre. open to the living room. Living room/bed room: armchair, double sofa bed, wood-burning stove, exit to the veranda. Bathing jetty/bathing: bathing place (shared use) in approx. 150 m (grass, gently sloping). Estate: (private use): approx. 1000 m², open plot, in a hillside, trees, natural surroundings, meadow. 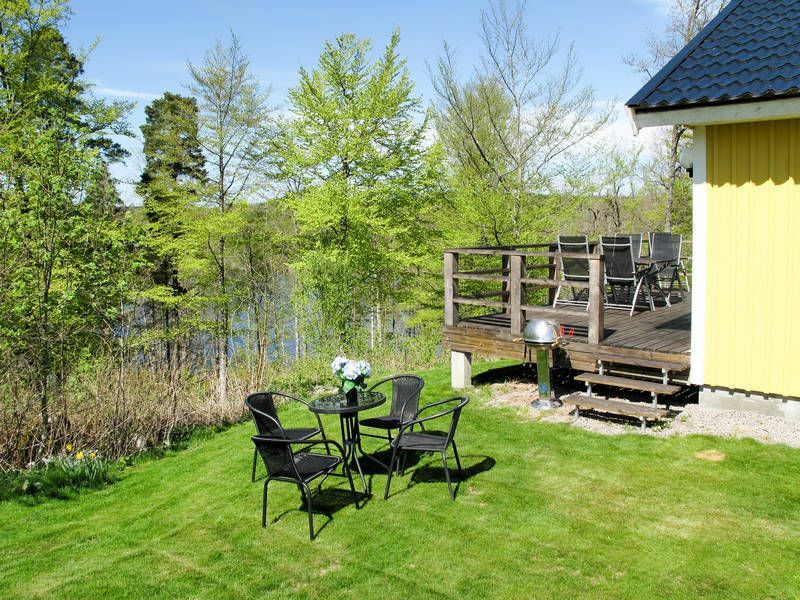 Fishing: very good fishing possibilities, in the lake Vångasjön in approx. 150 m, ice fishing in approx. 150 m, fishing license provided by the owner (free of charge). Information on the boat(s): Rowing boat (approx. 150 m distant; included). Outdoor facilities: (private use): veranda, furnishing provided, transportable barbecue. Arrival: Airport København/Kastrup in approx. 180 km. Ferry port Helsingborg in approx. 160 km. Train station Karlshamn in approx. 25 km. Beach/waters: Lake in approx. 100 m (Vångasjön). Lake in approx. 3.5 km (Orlunden). Sandy beach in approx. 3.5 km. Next village/town: Center Olofström in approx. 8 km. Karlshamn in approx. 25 km. Public swimming pool: Indoor public swimming pool in approx. 8 km. Shopping: Next supermarket (Olofström) in approx. 8 km.